This is an excerpt from The Sacred Band, by Janet Morris and Chris Morris, presented by Black Gate magazine. It appears with the permission of Janet Morris and Chris Morris, and may not be reproduced in whole or in part. All rights reserved. The Sacred Band is available in hardcover, trade paper; and in Kindle, Nook, and other electronic formats at Amazon, Barnes & Noble, I Tunes and other booksellers. The war in heaven has reached the streets of Sanctuary: overhead, the sun shines bright; in the distance, clouds form up to attack the daylight. Right here, right now, Crit needs to keep control of the Sacred Band and of Walegrin’s city guard, both units frustrated by their elusive quarry and angry at this hellhole town. Maneuvers, carefully planned, painstakingly apportioned among two forces, must be precisely carried out. Or this sortie won’t work at all, and their sweep will sweep only discipline away, become a rout. Theory put into practice – not perfect today. Not smooth enough by half: Sanctuary city guard and Sacred Band are out of step, not meshing. At least not so far. Through the twisty byways of Downwind, both contingents thunder. Walegrin’s city guard leads, bent on showing off their local savvy. Crit knows that mere familiarity won’t win the day… or would have won it by now, on other days. Behind Walegrin’s men come the fierce shock troops of the Sacred Band, ranks formed up for war and spoiling for a battle where only much less will do. Ladies first, all you city guard…. Too many weapons gleam under heaven in the bright sunlight. Too many horses’ hooves clatter on cobblestones. Too many jeers and taunts and war cries resound. Too many fighters look to redeem themselves in one another’s flinty eyes. Too many. Strife is justice; justice is strife. Crit can feel the reins of command slipping through his fingers. Squadrons riding too fast; talking too loudly; sneering at each other: rage and rivalry out of hand. Somehow he needs to hold them to the plan, to their orders. But he’s one man, in putative charge. The Riddler isn’t here today. Their commander’s got too much brewing, with Niko hurt, and Jihan and Randal hunting Shamshi, and some girl or woman (or something else) in the barracks who comes and goes as it pleases, unmindful of walls or gates or doors or locks…. Too much. So no ancient intelligence guides this mission, no wiser eye constrains the troops. With the Riddler absent, Critias is in charge – trying his damnedest, but just a Stepson. Even with Strat steady on his right, they’re jostled, bumped and crowded by city guardsmen who think pairbond is a dirty joke. Straton can’t help Crit with Walegrin. He doesn’t offer. They have more than enough to do, taking care of their own half-integrated Band, under Crit’s leadership for the first time. Factions make friction: different cultures, different customs, and disrespect – a recipe for disaster when cavalry and populace come face to face. Disputes, unresolved, are breaking loose. Crit and Walegrin have two conflicting visions of how a sweep through here should be planned and executed, and what the definition of this mission really is. Crit wants to find Shamshi; Walegrin wants to clean his stopped-up city drains of all their flotsam and jetsam. Chaos is one name for what they field today. Crit has been in full-fledged assaults with less screaming and shouting and cursing and rousting than in this sweep of Downwind. All to catch one wizard boy? To grab the reins of discipline in Sanctuary, where things already are spinning out of control? They cordon off the Downwind, ranging it round, all the Sacred Band and city guardsmen. Two chains of command; two voices guiding them; two sets of loyalties that cannot be combined. House to house, attic to attic: systematically and without quarter they search, leaving wreckage in their wake. The raid heats up. Things get rough. Things get rougher. Walegrin’s teams are far beyond Crit’s control. And free to choose their own rules of engagement: this is their turf and they sortie first, with heavy hands where Critias would have come, hands off, weapons sheathed, with a lighter tread. Hooves pound; doors fall down; windows break and culprits quake behind their secret panels, in their hidey-holes and root cellars. The Sacred Band catches everyone who flees, cleaning up in the city guard’s wake: Crit’s fighters, too, have their orders: no one escapes; no one slips away unnoticed. Except, it seems, Shamshi, the wizard boy. Where is he today? Running for his life, trying to find a place to make a stand? Crit recalls that Lysis and Arton thought they saw Sham on the beach. Was it really him, in the dark, in the water off Vashanka’s Rip? Lysis had told Strat that the youth on the beach had dark hair… he thought. Same fugitive? None could say. Was Shamshi a wraith, a figment – long gone? And all this an unnecessary show of force? Jails fill up and holding pens ring with wails and lamentation. Caravan Square and Farmer’s Market lie deserted; Shambles Cross takes refugees until it can’t hold one more soul. Nowhere is Shamshi to be found. “Somebody’s protecting him,” growls a city guardsman, forcing past Crit and Strat on a wall-eyed red horse, its nose in the air and spattering them with froth. Ahead, two more guardsmen drag a weeping woman and three screaming brats out of her hovel’s door. “We’d have him by now, otherwise,” the guardsman tosses back, cantering away. “No you wouldn’t, porker. Not this way,” Strat says in an undertone. And rolls a smoke amid the turmoil. There’s nothing to be done about the problem of tactics out of hand: different command chains; different orders. Crit and Strat ride on, and Strat scoffs dourly as they watch Walegrin’s city guard tear another hut apart, shortswords drawn, capturing pigs and dogs and cats and cowards, but no crafty ex-Stepson on the run. This next group of four from the city guard is better trained: they advance upon each house side by side, shields up and nearly touching, clearly knowing urban combat can be most dangerous. A fence obstructs them; they use their horses to pull it down. Crossbow bolts from somewhere whisper through the air: one, two, three, four. Two men fall. Five, six. The same two men die: one shot through the eye, and dead in an instant; the other, shot through the throat, has little more time to live. Their horses leap forward, toward the buildings where the bolts seemed to come from. But there are too many obstacles of flesh and blood in their way: hysterically screeching children; ponderous women; city guard – finally waking up – milling, taking cover. Two warhorses, riderless, now scream and rear and tear around, biting and kicking at anyone and everyone until two other riders capture them. Crit and Strat roll off their mounts, first running for cover and then on into the street, crossbows ready. They shoot where they think the bolts came from, then dash for building walls. A mud-brick corner hides them; flimsy doors push open. They climb flights and flights of stairs, trying to engage an enemy, a target on a rooftop – and find no one. Crit and Strat scuttle back to the dead men and hunker down beside them, looking around: if a body hasn’t staggered too much in any one direction before falling, you can estimate the source of fire, and return it, based on the angle of the arrow in the corpse and where that arrow might have come from if the corpse were standing. Take cover again, return fire if you can; if you can’t, give chase; find someone to shoot back at: do something; counterattack in support of your dead comrades. But there’s no target, no one who wants to play shoot-me, shoot-you. Whoever it was, they’ve gone on their way. Up on a third-floor landing of the fourth house they search, Strat finds a crossbow, discarded. They come back down, their skin crawling: somebody’s awake out here, and picking targets with skill and taste. Now, you ask me. Past time, but it’s bad form to quit because you’ve been hit or lost fighters. It makes the enemy bolder, next time. He knows just how to stop you. “Not my problem. Not my mission,” Walegrin grunts, swinging up on his horse; and rides away, back into the fray, leaving his men to deal with fallen comrades while he makes sure his new orders are understood and followed. Crit and Strat form up the Sacred Band, counting heads: everybody’s here; nobody’s critically wounded. But nothing will excuse this debacle. When a situation degenerates to this point, there’s nothing you can say. Not until the Riddler asks them how they let Shamshi get away, if they don’t find him today. By then, they’d better have an answer. 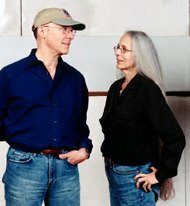 Janet Morris alone and Janet Morris and Chris Morris jointly have authored six previous novels and two novelized anthology volumes in their Sacred Band of Stepsons series. Some earlier books in this series were originally published as Science Fiction Book Club selections, Baen hardcover, Ace and Baen mass market editions, and later reissued in definitive, expanded trade paper and electronic “Authors’ Cut” editions by Paradise Publishing, Kerlak, and Perseid Press. Some works in this series were previously published in somewhat different form in the Thieves World® shared universe or as authorized works taking place beyond Sanctuary®. Janet E. Morris began writing in 1976 and has since published more than 20 novels, many co-authored with her husband Chris Morris or others such as David Drake and C.J. Cherryh. She now owns the copyrights to more than 60 novels, both fiction and non-fiction. Janet’s first novel, published in 1977, was High Couch of Silistra, the first in a quartet of novels with a very strong female protagonist. Since then she has contributed short fiction to the shared universe fantasy series Thieves World, in which she created the Sacred Band of Stepsons, a mythical unit of ancient fighters modeled on the Sacred Band of Thebes. She also created, orchestrates, edits, and writes for the continuing, award-winning Bangsian fantasy series Heroes in Hell. Fifteen volumes have been published since 1986, the latest being Rogues in Hell, Lawyers in Hell, and Dreamers in Hell. Most of her fiction work has been in the fantasy and science fiction genres, although she has also written historical and other novels. Her 1983 book I, The Sun, a detailed biographical novel about the Hittite King Suppiluliuma I, was praised for its historical accuracy, and has recently been reprinted by Perseid Press. Among Janet’s numerous novels are the Kerrion Empire Trilogy, Warlord, Threshold (with Chris Morris), and The Sacred Band. 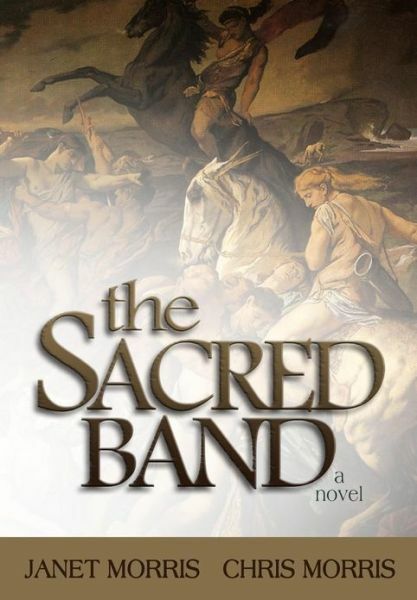 The Sacred Band is a completely new work of fiction. It was published in trade paper and an electronic edition by Paradise Publishing in 2010; the first Kerlak hardcover edition appeared in 2011, and the first trade and electronic editions from Perseid Press in 2012.